Forbes has published the list of this year’s highest-paid female musicians. The music industry is very hard to enter and there is so much competition! However, there are already singers who worked hard and made their names so famous that it brings them millions. Scroll along to find out which ten super – talented and beautiful singers made the list of highest -paid women in music. Thanks to her gigs at the Colosseum in Caesars Palace in Las Vegas and her forever popular music, the French Canadian singer got the last place on the list by earning $27 million. Céline Dion released her new French album Encore un Soir this August and there are 15 tracks we’re enjoying right now! Really close to Dion, this year Shania Twain earned $27.5 million which got her the 9th place on the Forbes list of highest – paid female artists in music. Since the 1990’s where she got her success breakthrough with her songs, such as “Man! I Feel Like a Woman” and “You’re Still the One” up until today, Shania became so popular that she earned not only a fortune, but the title “Queen of Country Pop”. 2016 was a big year for Britney Spears – she signed a two-year deal worth $35 million for continuing her Planet Hollywood residency, she released her new album Glory, launched her 20th fragrance called “Private Show” and launched a Glu Mobile game. Thanks to all these singing and business activities, Britney Spears got the 8th place on the Forbes list with $30.5 million earned. 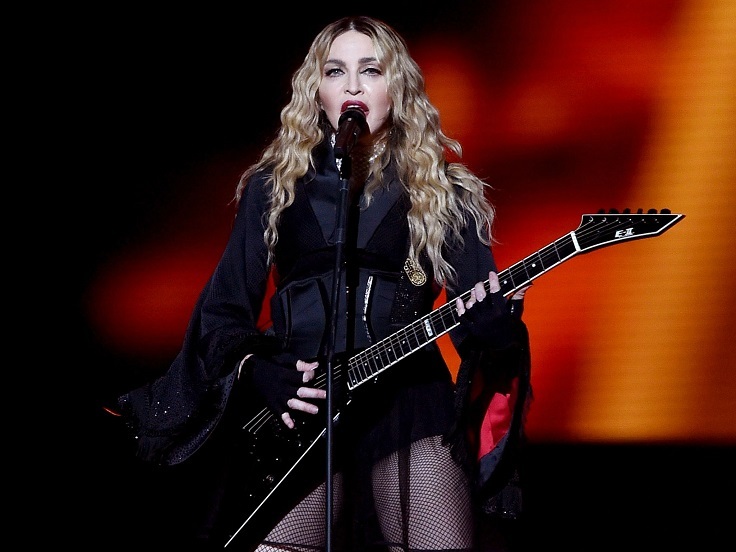 From this year she’s the new performer at the Sin City Residency, where her fans can enjoy her music. Besides that, Jennifer Lopez earns plenty of money of her fragrance sales through Coty’s, of which she gets about 7 to 8% and that’s more than $10 million. From 2010, she has a deal with L’Oreal that brings her about $6 million annually and not to mention her career in the film industry – no wonder why she got the 7th place with $39.5 million! The sixth female artist at the Forbes list of highest – paid ladies in music is the one and only Katy Perry. Her Prismatic World Tour made $204 million, but her music career isn’t the only thing that brings her millions. Katy Perry has a deal with H&M, Claire’s and CoverGirl and thanks to all she has made a fortune of $41 million. There’s only one Queen B in music and this one has made a fortune of $54 million this year! You can guess why – Beyonce released her sixth studio album Lemonade was released this April and her Formation Tour made $250 million. The album sold 1.6 million copies worldwide, and together with her husband Jay Z are the highest – paid celebrity couple of 2016. Let’s work, work, work, work, work like Rihanna and maybe we will succeed in making $75 million like her this year. But, as the rest on the list, being a successful singer isn’t the only thing making her rich. Rihanna has signed deals with Dior, Puma, Samsung and Stance. The one and only Queen of pop comes third on the list thanks to her successful world tour Rebel Heart that grossed $170 million. Including the sales of her perfume line and clothing, Madonna earned $76.5 million this year and according to Forbes, her net worth is estimated at $560 million! Unlike most of the musicians on the list, Adele makes most of the money from her album sales and arena shows. She released her third studio album known as 25 in November 2015 and by june 2016, the album sold 20 million copies and became one of the best selling albums worldwide. Thanks to that, Adele is second on the 2016 list with having earned $80.5 million. The truth is, we’ll never find someone like you, Adele. And the number 1 on the Forbes list is Taylor Swift! She is the highest – paid female musician with having earned $170 million just in 2016, thanks to her super successful music career. Her last album 1989 was the best selling album in 2014 and it is said that she earned $1 million each day since the release. Besides that, she has a deal with Apple, Keds and Diet Coke. Swift’s net worth is estimated at $250 million, a reason plus why she’s on the Forbes list of Richest Self – Made Women.